2 weeks ago I read an interesting article on the CIPD website claiming that nearly half of all employees hear discriminatory remarks in the workplace every week and this rises to over 70% if you measure it on a monthly basis. More than a third of these discriminatory comments were made directly to individuals. For those on the ‘giving’ end of the remarks, this might all seem like harmless office banter and you as a leader might agree – but for those on the receiving end, the impact could be significant. A drop in confidence, a move to distance themselves rather than enter into conflict, a reluctance to turn up to work and internal battles around their own self-worth. All this from just a few comments to one person. Just imagine what the effects could be on your organisation if discrimination is as widespread as the CIPD report suggests. People who are discriminated against at work are more likely to take sick leave. In part this could be to avoid further discrimination but also a lack of enthusiasm for the role and a lack of commitment to the organisation will play their part. If discrimination is ripe within your office culture – this could be costing your organisation thousands, if not hundreds of thousands every year. What does a person do when they’ve taken a day off to avoid discriminatory comments? They look for a new job of course and even if they’re not taking time off, they’ll be doing that anyway. You could be losing some of your best people to discrimination and that means not only are you losing great talent from your organisation, you’ll have to hire and train new ones and that costs money. Costly, embarrassing, bad for morale and don’t forget the brand damage that goes with it which will have an impact on your sales and customer retention. People who feel bad about themselves or feel angry because they’ve been discriminated against, don’t make for very productive workers. Low confidence impedes their ability to communicate effectively, fear of further remarks distances them from their colleagues and sadness and disappointment saps their motivation to try hard. The result when discrimination becomes prevalent is disconnected, lethargic teams, poor staff morale and rising workplace conflict. Creativity and innovation are some of the most highly prized assets in successful organisations. Lose those and you start to fall behind your competitors, you start to miss deadlines, deliver below par products, lose sales, lose customers and ultimately you’re no longer profitable… and that leads to job losses, workplace conflict, more tribunals and who know where it will end. Whether you like it or not – discrimination is an unwelcome part of your organisations culture. It feeds off of the conversations (or the lack of them), the interactions, the tone that people take with each other and the moods that people carry with them. But although we might never be able to fully eradicate discrimination entirely, we can minimise it by taking proactive measures, by focusing on inclusion and most importantly, having better conversations. Well done post. Good picture. Good content. You really say some great stuff about what I really believe and that is that awareness of the problem leads us to finding the solution. It’s just the sort of thing you can’t ignore solving if you know it exists or at least that’s what I think most people should be like. Thank you for sharing this information. I had no idea discrimination was so widespread so this issue is one of considerable importance for nonprofit organizations and their boards with implications for both paid staff members and volunteers. Issues such as absenteeism, low productivity and high staff and volunteer turnover have been recognized as symptoms of low job satisfaction. 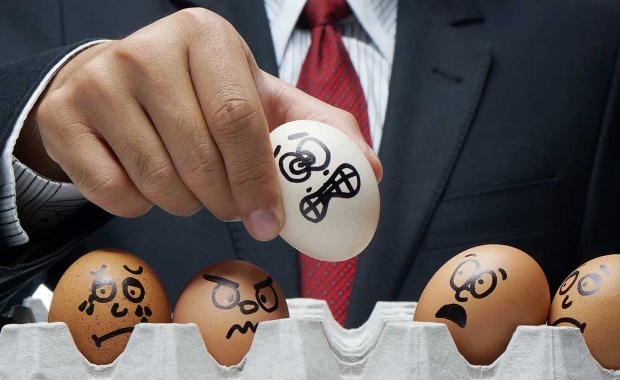 This article adds discrimination to the list of causes of low job satisfaction.